When it comes to full-size luxury SUVs, the 2018 Lincoln Navigator seems to have what it takes to separate itself from the pack. This isn’t a very crowded segment. If you care about the posh badge, you’re basically looking at the likes of Mercedes, Cadillac, Lexus, Infiniti and, of course, Lincoln. Luckily for the Blue Oval’s premium brand, the 2018 Navigator is more than just a fancy Ford Expedition. Sure, there are a few buttons carried over from its sibling, but overall, the Lincoln is more elegant and has a striking cabin, as Kelley Blue Book’s review points out. And they don’t refer to just how everything looks inside, but also about how everything feels, from the seats to the trim and even the floor mats. On top of that, the cabin is extremely practical, with enough room for all passengers, as adults fit comfortably in the 3rd row, and plenty of storage spaces. Still, if that’s not enough, perhaps you might want to consider the long-wheelbase Navigator L.
On the road, this massive SUV is propelled by a twin-turbocharged 3.5-liter V6 engine, producing 450 HP and 510 lb-ft (691 Nm) of torque. In a straight line, this unit gets the job done, while the new 10-speed automatic transmission suits it nicely. Overall, the 2018 Lincoln Navigator is a spacious, luxurious and high-tech family hauler and it can stand against any of its rivals, which should probably worry some of them. Seems like the better vehicle though I’m not interested in the segment. Not a big Lincoln fan but I’d take this over the Escalade. If I had Oprah dough, I’d get one to be chauffeured around in the city just to switch it up from my other rides. It’s trick. The front of this thing is properly imposing, though the double row of led’s look like something off of the Griswold Wallywagon. The rear is a complete amateurish half-assed effort. The interior is impressive, but won’t coax anyone out of their Range Rovers. The rear is a miss, big time. Too fat and needs nip tuck. They could have gone J Lo versus Kardashian on this one. The Expedition has a much nicer rear IMO. The grille is nice even if it reminds me that I need to shave. 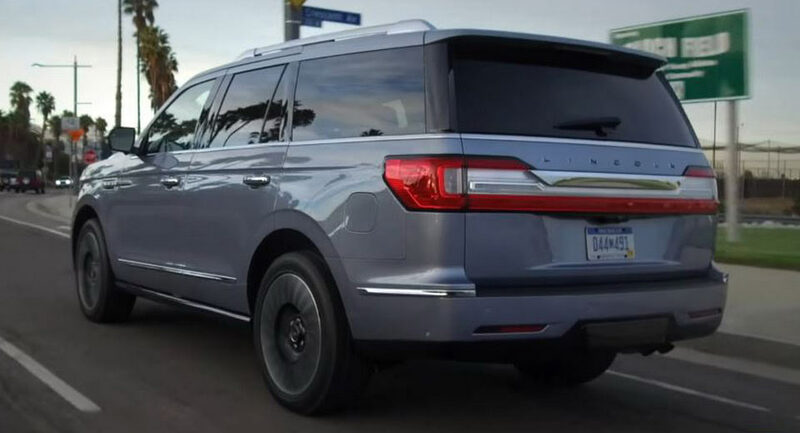 But the tail-lamps and side panels show that Ford didn’t want to spend too much money to make the Navigator that much different than the Expedition. These Navigator tail-lamps would have looked better if they were squared off at the corners, rather than the common triangle shape. The “Black Label” package is a real step up for Navigator! It starts at $96K and I feel it gives Range Rover Autography’s interior competition for $100K less! Love every bit of it. And that dash is so beautiful. Lincoln did an excellent job with it. It looks fancy, yet somewhat retro looking too. It is a nice looking vehicle, with many features that put it at the head of the class, but why compare it to the current Gen Escalade, I would waite till mid 2019 when the 2020 Escalade is introduced, then there can be a comparisence of similer features. And from what has been leaked so far about the 2020 Escapade..OHH BOY, its likely to set the standard for Full Size Luxury SUVs, lets look at the so far leaked info. Why compare the 2020 Escalade to the 2018 Navigator? 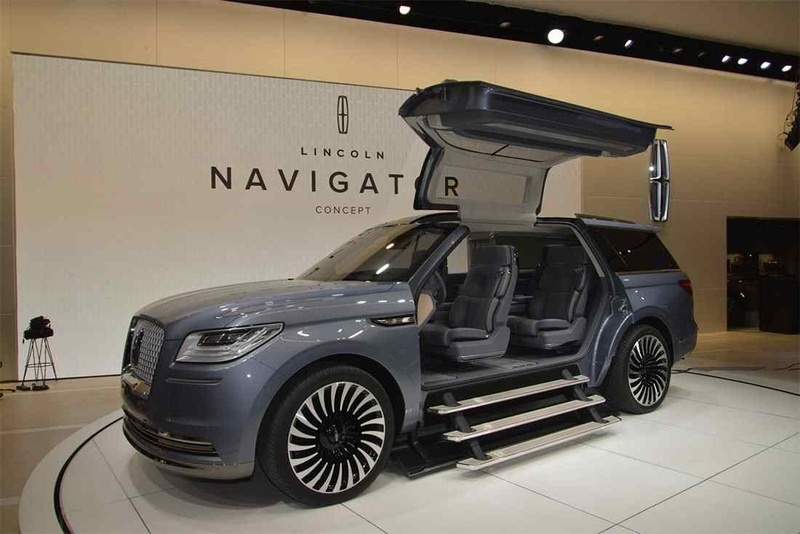 Just wait until the 2023 Navigator! You compare what’s on the market now. If you can go to the lot now and buy it, it’s fair game. When the 2020 Escalade comes out, they’ll compare it to an older Navigator. It’s a constant game of leap frog. I don’t think Cadillacs perception problem has much to do with their engines or chassis, rather the main issues are it still isn’t up to par with the Germans in luxury/interior. Both in design & quality, and when Cadillac is asking Mercedes prices, people expect same or better quality. Volvo did this and they’re doing great now. same story it seems with Lincoln for their two new flagships. I’m a big fan of the ls/lt engines as well, GMs higher end suspension and chassis. I also really liked the design of the escala concept. Now that the navigator is out/ being well received, Cadillac has a large incentive to make their new escalade without cheapening out and making it truly luxurious which I believe they can do. I LIKE THAT THE BLUE CARPET GOES ALL THE WAY BACK INTO THE STOW AREA. THIS GUY WAS TOO OBNOXIOUS TO WATCH THE WHOLE VIDEO. Neither are my thing, but give me an Escalade with the Lincoln interior. It’s better looking…more horsepower..far more curb appeal. Lincoln had a chance to be innovative here…and deliver a pure electric sled. Or at least a hybrid. This puppy looks to be trying too hard. Nahh. The Escalade is totally outclassed here. The Caddy is closer to a Suburban than this Lincoln is to an Expedition. Why? They’re for the U.S. market. Nobody will have to worry about getting cought on a European street in one. The Escalade is just a better looking vehicle.. on the outside, IMHO. Not in my opinion. The Lincoln Navigator looks so much better. The Escalade looks dated compared to this King of the Road. Hey honey! Come see what will be selling for 90% less than it’s original price in 10 years . . . These will be used for Black Car Livery services just like the Continental. Depends on who their target audience is. 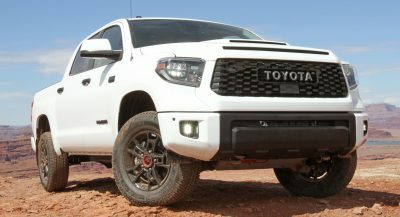 Truck of the Year at the 2018 NAIAS. First American-built luxury SUV in this segment to win in this category. And as mentioned in this article, it isn’t a very crowded segment. Sorry, Cadillac. I hadn’t really paid attention to the new navigator til I saw an ad for it yesterday. It looks really nice and unique compared to the explorer/expedition that its based on. Much nicer than the escalade that looks like a dolled up suburban. Wow, the interior is awesome. Wish ugly didn’t come standard on this SUV. Front looks so so, but the back looks hideous. that Bentley-esqe grille looks better on this than on the Bentley. I can’t stand the wheels though, but those are easily replaced. Hopefully, you can get it with different wheels, so you don’t need to replace them. They are hideous. With those terrible looks, it’ll only challenge anything based on its ride and interior. That said, why did this expensive SUV need to come out with such generic and borderline ugly styling? I cant find a single component of the exterior design that is truly beautiful. Not the oddly out of proportion grille, not the generic headlights, not the any-SUV soap bar side profile, not the cheap chrome on the mirrors, not a thing. On the inside, whole other story. And if it rides very well, perhaps the interior and ride will compensate. Still, a shame it isn’t properly handsome as a modern Lincoln that can reach over $80k ought to be. Have you seen the Cadillac Hearse err…. Escalade? This is a really nice looking SUV with a really sweet interior! I gotta say, nice job Lincoln! The rear of it does look a little unfinished though. Turbo V6, 10 speed auto and an independent rear suspension in addition to a nice looking exterior and a really sweet interior….. Hey Caddy, time to step up your game!